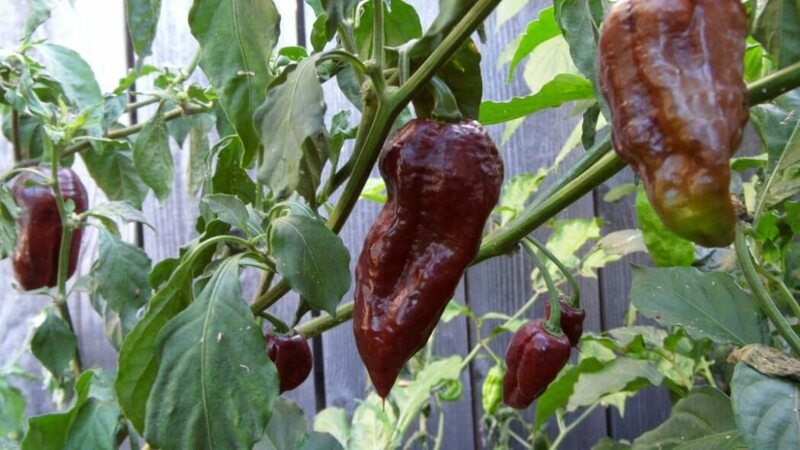 Bhut Jolokia – otherwise known as the infamous ghost pepper – is one mega-hot chili. They were once difficult to source due to their extreme nature, but no more. Some gourmet supermarkets, like Whole Foods, now carry these potent beauties. That’s exciting for chiliheads, but there’s a lot of potential for a world of pain for those less familiar with the Scoville scale and super-hot chilies. 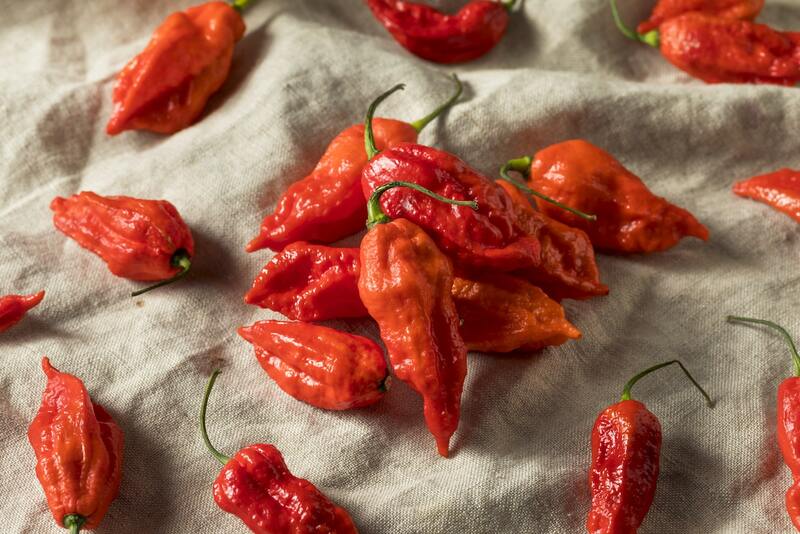 If you’re thinking of cooking with ghost peppers – whether fresh, dried, or powdered – follow these simple rules to protect yourself and keep things at an edible level of spiciness. Understand what you’re handling before you handle it in the first place. 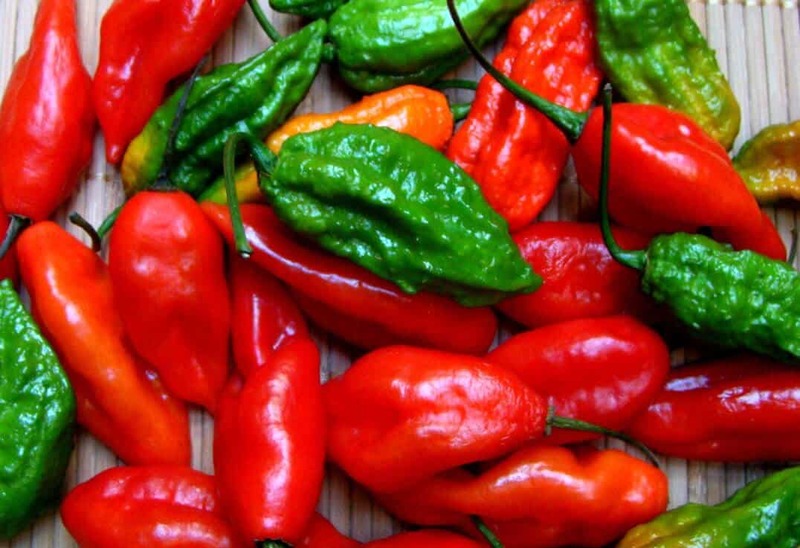 The ghost pepper is up to 417 times hotter than a jalapeño pepper. That’s so hot that the ghost pepper is often used as the base for military grade pepper spray. You are about to cook with a chili that’s potent enough to use as a weapon, make no bones about it. Even if you like spicy food and eat it all the time, don’t be cocky with the Bhut. 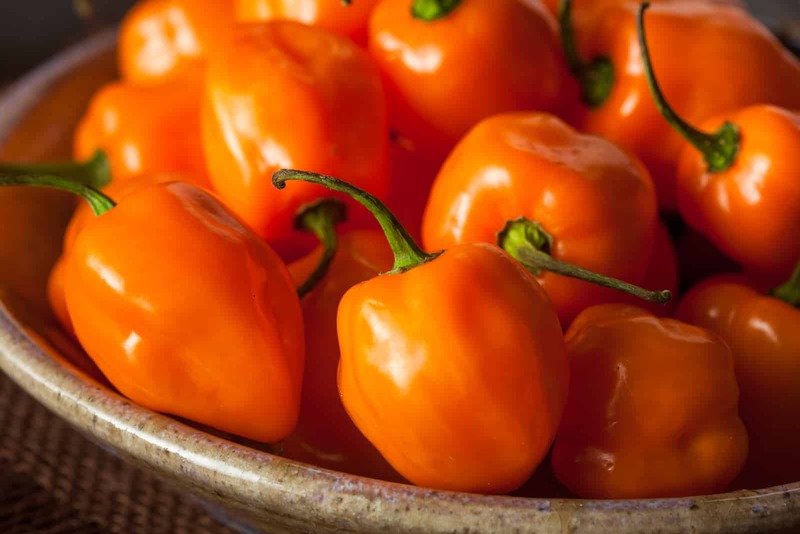 For most people habanero level heat (which is already intensely hot) is the upper end of their spicy experience. Multiply a habanero’s heat times 11 and you get what the potential of a ghost pepper is. It’s worlds away from the other chilies surrounding it in the produce section. We are not talking simply kitchen gloves here. You should also wear a kitchen mask and kitchen goggles, along with long sleeves. The oils alone of the ghost pepper can cause extreme chili burn from one simple touch. It’s so strong that just being near them can cause eye irritation. After handling – even with gloves – wash your hands thoroughly. It’s best to be as protective as possible. Remember, you are dealing with pepper spray heat level here in its purest form. You don’t want to be seeking out relief blindly after you’ve experienced what will undoubtedly be intense pain. Read up on how to treat chili burn through our post on it. There are a few good solutions, but the best of all is milk. Keep it close at hand. Do not reach for water as it actually will make things worse. For your first few times cooking with ghost peppers, stick to simple infused oils and hot sauces. Graduate up to salsas and more complex hot sauces. Then move from there to more exotic dishes. Why? Again, it’s respecting the heat. Using ghost pepper in simple recipes helps you understand both the heat and the flavor of this chili. Yes, there is a flavor, and you’ll taste it as ghost peppers have a notoriously slow burn that builds up over time. Simple recipes will help you understand proportions against other ingredients. This is one chili where a very little goes a very long way. A sliver of one chili, in fact, may be all the heat you need for a dish, so always opt for under-spicing than over-spicing. If you over-spice with ghost pepper you’ll likely create something entirely inedible. Label what you make in big bold letters with the words “Danger: Extremely Hot” This is obviously important if you share the fridge with family of all ages, but it’s also important as a reminder to you, too. Sauces can last some time, so it’s good to mark your food in case you forget. This way there are no surprises. If you create a homemade ghost pepper hot sauce or salsa and you think it’s hot now, wait until you taste it a few weeks later. Hot sauces and salsas tend to heat up with age as the ingredients meld and the chilies mature. Approach your concoctions carefully even if you think you know what to expect.